The imposing nature of the prints highlights the intense and absolute link between the city of Barcelona and the aggressions of war and an effulgent view of the 1714 with the 11 September. The abundant and international propagation of Rigaud’s prints turned the siege of 1714 into an idea that would become a myth and a dream, according to the historian, in political opinion. Barcelona is both our suffering and our glory. But it is also an important city and we are sure that the city, whether heaven or hell, is, above all, the decisive spot, as much or more than national parliaments, in which struggles must be promoted to save a planet that has been so war-torn and maltreated. «Cities are where citizens live. There is no democracy at a world, regional and national level if there is no democracy at the municipal level that directly reflects the personal democratic behaviour. Everything, at heart, depends on education, understood to be a process of «free and responsible» human beings. We are starting a new era. From rural life to an urban one, and now progressively the digital era, which allows a relocation of Earth’s inhabitants. Finally, global awareness. Finally, expressive and participative capability. Finally, women on the podium. Finally, from subjects to full citizens. Finally, the transition from a culture of imposition, violence and culture to one of encounters, conciliation and peace. Finally, the turning point from oppression to the word. The Atlas by Ramón Soley appears at a very opportune moment. The first thing required is a «shift of mind set», this excellent publication will contribute to it». The first edition of this Atlas of Barcelona was published in 1998. 2 Vol. Vol. I: 23 April; LXXVII, 1-512 p. Folios 1-347. XVI, XVII and XVIII centuries. Introduction, translated into Spanish and English. Bibliography. Vol. II: 11 September. 513 -1094 p. Folios 348 – 740. XIX Century. Histogram, typological, topographical, onomastic and general index. Glossary. Catalogue. JOSEP GASSET: Files text and research. 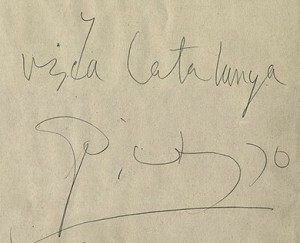 The covers of the two tomes were drawn by Antoni Tàpies. Drawn up and edited by Ramon Soley and distributed by Editorial Mediterrània. ISBN: Atles de Barcelona 84-8334-023-2. Vol. I: 84-8334-024-0. Introduction to the Atlas. Historical and methodological introduction by Josep Gasset. Bibliography. Chronological diagram. Toponymic index. Repertoire. Glossary. Historical introduction to the different sieges on Barcelona and wars in Catalonia. 16th-18th centuries.